Though most New York residents are fairly health-conscious, periodontal disease is more common than you might think. At The Dental Design Center, we see patients with gum disease every day. Some patients aren’t even aware they have it until cosmetic dentist Ira Handschuh diagnoses it. Fortunately, it can be treated with varying degrees of treatment depending on the severity. 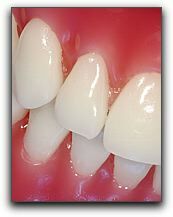 If left untreated, periodontal disease can cause irreversible damage such as tooth loss. When caught early and treated, periodontal disease can be managed and, ultimately, cured. However the best policy for New York dental patients is to practice good dental hygiene to keep periodontal disease at bay. One of the best ways to avoid periodontal disease is to get a regular dental check up at your local White Plains dentist. If you don’t have a dentist, give us a call at 914-683-5898 to schedule a dental check-up and cleaning. Don’t take the risk of allowing existing dental problems like gum disease to progress. At The Dental Design Center, we are enthusiastic about to the highest standard of dental care and patient satisfaction.